At Cardinal Village, residents have an opportunity to live independently or assistance can be provided for those needing assisted living. Regardless of your care needs, you and your family will have peace of mind. You’ll have access to on-site therapy services to boost your wellness, delicious and nutritional meal options, and daily activities to promote engagement and socialization. My uncle [has] been in assisted living here for two years now. The staff is exceptional, especially the nursing staff, and he’s so well cared for and thriving. The food is good too and versatile, which is sometimes hard to find. Our family is grateful to the staff and their commitment to excellent care, compassion, and respect for their residents. Pump up your morning with Wake Up, Work Out or Sit and Be Fit, catch up with the latest news during Coffee Clutch or News and Views, read a few chapters in the library, meet your friends for a lunch outing, groove to your favorite tunes during a live-musical concert or join a game of Bingo. 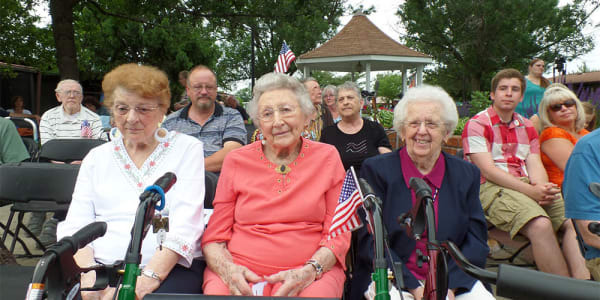 Diverse monthly calendars are arranged for Independent Living and Assisted Living residents. Proper nutrition helps maintain good health and vitality. Included in the monthly rent, are delicious, freshly prepared meals. Assisted Living residents will enjoy breakfast, lunch and dinner. 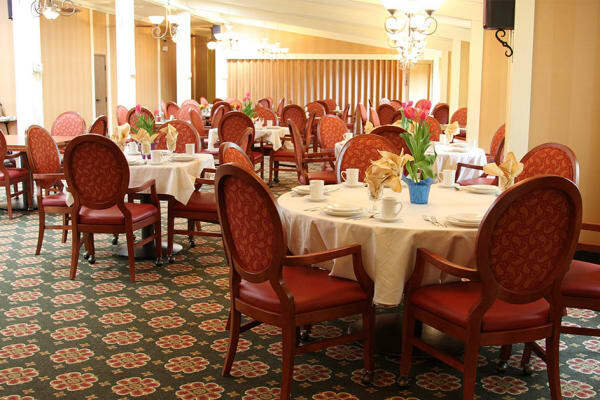 For Independent Living residents, a tasty, wholesome evening meal is served daily, as well as a continental breakfast. An optional brunch is also available. You’ll find the dining room areas bright, open and comfortable with restaurant-style service that is warm and inviting. Enjoy good conversations and a variety of food options. Remember to save room for dessert! 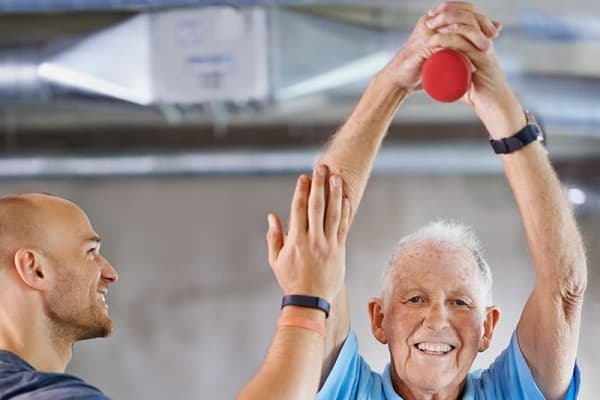 Staying active is an essential component to wellness and maintaining independence. Cardinal Village has invested in a partnership with Therapy Choice to provide quality physical and occupational therapy services.